On average assisted living in Sun City costs $3,150. Sun city assisted living costs ranged from $1,100 to $6,700 in the US in 2019 according to Chapparal Winds Assisted Living. Sun City and Sun City West, Arizona are 2 well-known cities for those that are retiring. Keep reading to learn more about the cost of assisted living in both cities. 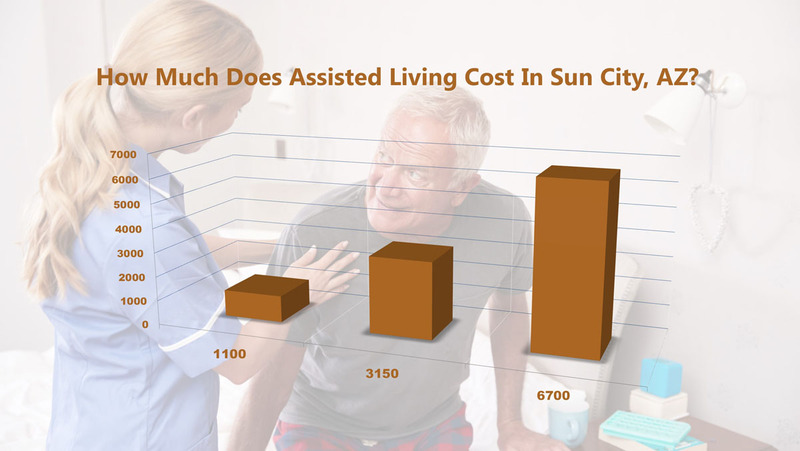 How Much Does Assisted Living Cost Sun City? The average cost of Assisted living in Sun City, Arizona is around $2.952; with a high cost ranging around $3,345 and low cost ranging around $1,100 according to senioradvice.com. This cost is slightly far above the natural average median of $3,148. How Much Does Assisted Living Cost Sun City West? The average assisted living cost in Sun City West, Arizona is around $3,421; with a high cost ranging around $3,497 and low cost ranging around $3,345. This cost is far above the natural average median. Our stunning upscale retirement community in Sun City is unlike any other retirement community! Desert Winds Retirement Community offers Assisted Living, Independent Living, and Memory Care. Located near W. Beardsley Rd., and N. 101st Avenue in Sun City, the community is surrounded by gorgeous vista views! Our resort style community is certainly sure to impress! Sun City, Arizona is located in the southwestern United States is a favorite place for retirees especially for the warm inviting weather and stunning views. Designed by Del Webb as a census-designated community, for retirees in the west side of the valley. Sun City has over 5 golf courses to choose from. Possibly best known as a mainstay destination for “snowbirds”. The average price you can expect to pay is $3,500 per month in Sun City, AZ for a private one-bedroom in an assisted living community. That matches the average rate for the state of Arizona but it does work out a little less expensive than the national average of $3,700. In Sun City, Arizona, quality assisted living community offers the services, qualifications, and amenities you are looking for in a retirement community. How Much Does Luxury Assisted Living Cost In Sun City, AZ? The average cost of luxury assisted living in Sun City is about $4,762 according to Bank Rate’s post, Luxury Senior Living Communities. The beautifully designed Desert Winds Assisted Living community in Sun City is now accepting residents. The residents can enjoy high-end living with 1st class care in our breathtaking two-story, 60 unit community featuring Studios, 1 and 2 bedroom floorplans. Come see us and experience in-depth care that centers on the individual needs of each resident. Engage in events from a heightened activities program. Click here for more details about Desert Winds Assisted Living Community.